Yo-ho-ho, treasure hunters – if ye be lookin’ for adventure on the high seas, but yer chest be full of sand instead of gold, then we’ve a deal to shiver yer timbers. Sea of Thieves is currently half price on PC and Xbox One. That brings the price down to $30 / £25 – with the deal exclusive to the Microsoft Store. X marks the spot for the deal right here, which expires in a week. So far, it’s not a deal that’s being matched by other retailers, so if you’ve the sea legs to stomach the Microsoft Store launcher on PC, it’s as good a deal as you’re likely to find without going down the second hand route. 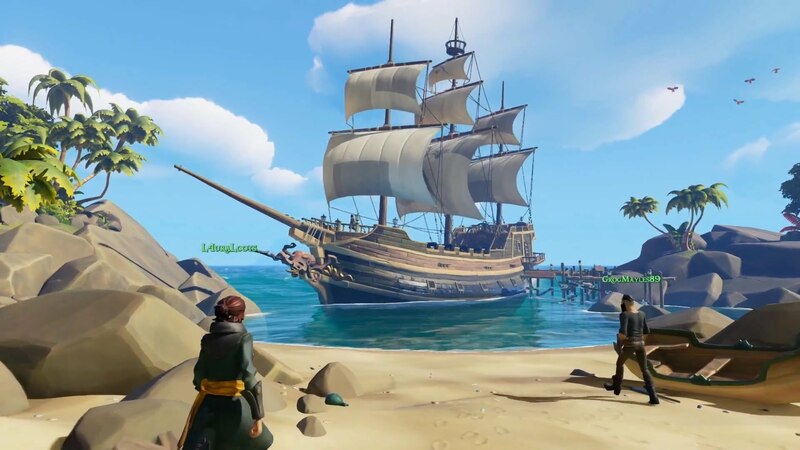 Sea of Thieves is already a fantastic multiplayer adventure, an MMO-lite where teamwork and creativity (and the knowledge of the difference between ‘port’ and ‘starboard’) is more important than an XP grind. And this half price deal comes set to land with a major update that will make the game even better. The Anniversary Update marks one year of the game being live, and introduces a new PvP mode, and a fully-fledged story mode, which has until now been sorely lacking. Named The Arena and Adventure Mode respectively, these parts of the game will launch on April 30th. The Arena will focus on ship-to-ship combat, a quick-fire race for treasure that is a standalone section of the game. Adventure Mode on the other hand introduces nine fully-voiced chapters, and will include the sort of treasure hunting that’d make the Goonies blush. It’s expected to last about a dozen hours.